Sprawling over an area of approximately 332 acres of land, lies one of India's largest electronic industrial parks, the Electronic City. Located in the villages of Konappana Agrahara and Doddathogur, the area is divided into three phases- Phase I, Phase II and Phase III. Electronic city was the brain-child of R.K. Baliga. He envisaged and succeeded in making Bangalore the 'Silicon Valley of India'. Electronic City is under CCTV surveillance along with nearly 500 security personnel patrolling the area at large. Tourists can put-up at the numerous star-rated and budget to enjoy a wonderful stay. Golden Tulip Hotel, Citrus Hotels, Lemon Tree Hotel and Radha Regent are excellent 4-star They are superbly designed, elegantly furnished, tastefully adorned and feature wonderful amenities and the finest of services to take care of both business and leisure travellers. 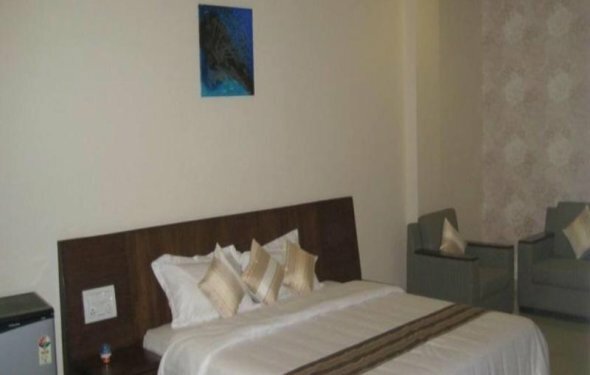 To enjoy a comfortable and lavish stay at slightly cheaper prices, 3-star properties in Electronic City namely Hotel Ekaa, Compact Maple Leaf and Keys Hotel, among others, are at your service. Their wonderful features and superb amenities will simply swipe you off your feet. Astra Boutique Suites and Hotel Keertana International are amazing budget. These hotels are well-maintained, decently arranged and have wonderful services to help their guests enjoy a memorable stay. Electronic City houses the Biotech Park Helix, Alexandria Knowledge Park, Neo Mall, South Bangalore's largest mall along with several luxury residential projects and commercial spaces. Stores like Nilgiris and Village Hypermarket catering to daily requirements, medical facilities and food chains like Domino's, KFC and Barbeque Nation are available in its premises. It is home to numerous educational institutions and a good number of companies like Biocon, HCL Technologies, Genpact, Hewlett-Packard, TCS, Wipro Technologies, Infosys Limited, Tech Mahindra and Bharat Heavy Electricals Limited, among others.